Pride is something that is missing from many in our society and we this in many aspects of our lives. From politics to everyday life I am sure we all have examples of lack of pride. So it is a pleasant surprise when you can witness pride. For me an example of this would Shirley Sherrod. 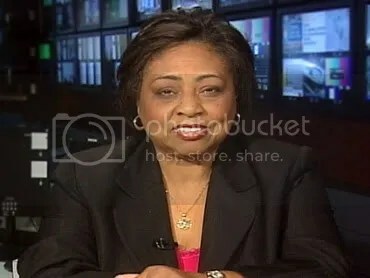 For those of you who do not know who Mrs Sherrod is; she is the Black woman who was falsely accused and fired for using her position of power at the USDA to deny help to a White Farmer. Eventually the truth came out and Mrs Sherrod was exonerated which led to Head of USDA Secretary Tom Vilsack and the White House including President Obama personally apologizing to Sherrod. Not only did Mrs. Sherrod receive apologies but she was also offered a brand new position or her old job at the USDA. The new position was created because of this situation; in the new position it would be addressing questions of discrimination in the department (USDA). I respect Mrs. Sherrod decision as it would have been easy for to take the new job, but she stood her ground. A couple of years ago I was in a situation where a co-worker made some insensitive comments to me which were ignorant and disrespectful. That co-worker tried to apologize to me and offered me a gift; like Mrs Sherrod I fully appreciated my co-workers apology and gift but I respectfully declined his gift. I did not feel comfortable accepting his gift as I felt in accepting the gift I was condoning his actions. Of course people have criticized Mrs Sherrod for trying to milk her “15 minutes of fame”; that is a ridiculous notion! Without even knowing Sherrod this commentator decided that she should have just taken the job and gone away. That would have been the easy thing to do but unlike some of the lame politicians who have no pride and sell them selves to the highest bidder; Mrs Sherrod decided her principles were more important. If more people showed more heart and pride maybe we wouldn’t have the silliness we have seen in politics; it’s time for people to start standing up for what is right and not for what is polling well in the latest CNN poll!